Plateaus are an inevitable. Whenever we make a decision to move in a certain direction or train in a certain manner, we are bound to hit a roadblock. The real question then presents itself. Although the obstacle might some daunting, there are a couple of ways around this. The first thing that you can do is simply to just keep moving forward. Quite often if you just take a small breath and continue to push, you’ll be able to see the new level present itself. It’s kind of a an easy answer, but there are definitely times when pure simplicity just works. The other option is a bit more refined. It involves lateral thinking. Which basically revolves around taking a step back, throwing a wrench in the system, and allowing your body to gain some feedback so you can continue to grow. You can achieve this by utilizing different approaches to your training. You can change when you train, how long you train, and of course how you train. Then how you train can be broken into further groups ready for change. The skills you are working on. The sets, rep, or time on the exercises. Focusing on similar but different exercises and more. If you training is feeling stale (not to be confused with boredom, but that’s another problem all together) you should implement one or more of these changes. Even if your training is going good, a change for the better can supercharge your gains. Which training method you choose exactly and what to do is going to depend on you and your goals. And in every case what you should do will be different. You may be the kind of person who loves to figure out your own program. Or you may want someone to hand you a template for you to work from. The choice is once again yours. Another thing to add to this before I close for today is to gain inspiration from unlikely sources. I’ll delve into this more in my next installment. But before I forget, if you are looking for a template on building the skills of your own body, take advantage of our ebook, The Ultimate Guide to Bodyweight Bodyweight Squats and Pistols. Loading the hips and the Squat! Loading the hips and the bodyweight squat. In order to achieve this you’re going to need flexibility, strength and coordination. But in all honesty, why should that even matter to you? You’ve probably read tons of info online about how to do a squat, yet it doesn’t hold much significance unless you understand the benefits that go along with it. If you remember from my last post, we discussed bodyweight exercise and its enhanced role inhelpying you develop your “skill” in utilizing your own body. Not that you can’t do the same with weights, but how easy is it to focus on correct muscle activation when you’re running through a movement while under a “heavy” load. Also, it increases the possible chance of strain or injuring depending on what you’re doing. Which brings us back to the bodyweight squat. Understanding how to perform it will help you understand the sequence of muscles you should be using and in what order. How far do you pull your hips down? What direction should your knees be pointing?(i.e. knee valgus) When do your abdominals come into play? These are all things you should have locked in before you work the squat. Now this brings us to our next question. Why does all this matter? Wouldn’t you be able to complete the reps and sets and sets your trainer gave you and be done with it so that you can get that beach body you’ve always wanted? Yes you can but you would be missing out on two different pieces. The first is that understanding which muscle to load as the primary, secondary, etc. will give you the opportunity to increase your performance and do more. The second is to avoid possible injuries in the future. You can look up things like exhaustive-adaptive response if you’re wondering what I’m hinting at. Now I’ll give you a real world example of how understanding the squat can affect your movement. Say you’re going for a run. Utilizing your hips and glutes are more important to this movement pattern than you may think. If you can’t engage your hips and glutes while running, you lose out on some strong stabilizers and shock absorbers. They help to lift you away from the ground, thereby reducing shock and once engaged can take stress away from the knees, shins, and ankles. Which tend to be common injuries for people who take on running. So, I’m going to close off with this as just being a quick intro to the squat. I’m going to be delving more into the squat in future entries, but if you want more than just a primer, pick up The Ultimate Guide to Bodyweight Bodyweight Squats and Pistols. Why Do We Train Bodyweight? This is an interesting question that I’m sure you have asked yourself in the past at one point or another. I know that I have with myself; although luckily only once or twice. Here is a little food for thought. As individuals who engage in fitness activities, we could easily gain results with our bodies from just running and hitting the weights. Look good in the mirror, impress those that we care to impress, and be done with it. But if you’re like me, there’s something alluring about bodyweight training. It’s not just the ability to be stronger or faster but in the internalized fact that you have the skill to go along with it. Skill is simply the ability to do something well; no rocket science necessary in that thought process. In terms of bodyweight training, that skill revolves around learning to gain the correct motor control in your body whether you’re going for strength, power, or speed(quickness included). A couple of my favorite examples would be the hollow body hold and the squat thrust. Although these seem like normal “tough” exercises, they teach you different aspects of stabilization and coordination that could help you in other types of physical endeavors. Starting soon I’ll begin delving into other types of baseline bodyweight skill development outside of the acrobatic world of the handbalancing. When you learn how to move, many variations start to become available to you. The transition between your limbs becomes an art form. Lets take hand balancing at two of its base variations. The handstand itself and cartwheel. These are the two inversions that we all tend to start with. I’d wager that a good amount of us began with the cartwheel before the handstand because it gave us a clear pathway to return to. A good way to test your movement capability is to run through different planes of motion. A more difficult possibility move from the cartwheel would be the Front Walkover. If you look below you’ll see a composite picture of Diane Robinson performing the move with ease. A vintage magazine called Acro-Chat lays down some quick instructions for you. The correct way to do a two arm walkover. Notice the arms are straight all the way through, the legs are extended and split as much as possible, the back is arched tightly with the head and arms trailing as she stands upright. Now a word of caution, this move does take a large amount of flexibility in both the back and legs. Although its not dangerous, you might end up falling a couple of times in the beginning. 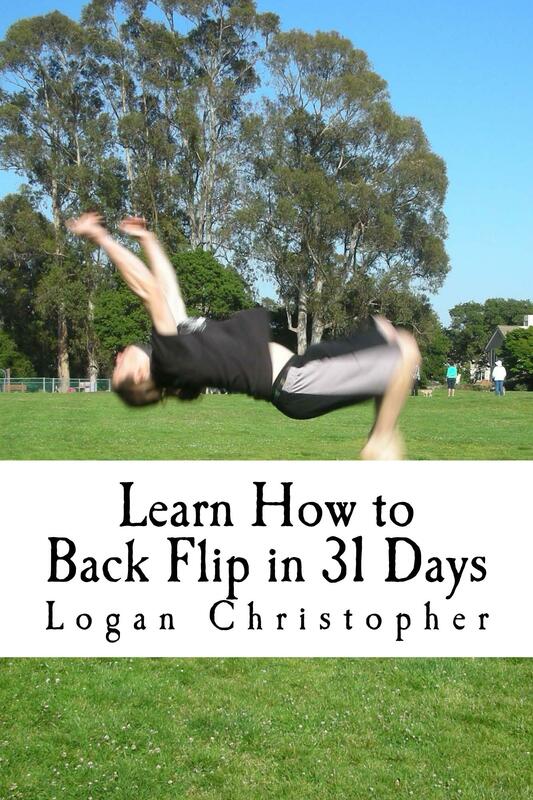 You can also perform a back walkover which is done moving backwards. Just follow the pictures from right to left and you’ll get the idea. Quick note: These moves are not to be confused with the handspring or back handspring. Though the motion is much the same, except for going off of two legs instead of one, there is another big difference. Your hands will touch the ground before both your feet leave it in a walkover. Handsprings involve leaving the feet to get up in the air before your hands touch down. If you tested the front walker and see that it might be out of your range, try experimenting with different movement patterns to increase your acumen. If you still need help, try picking up the Gold Medal Bodies Vitamin Program! Two key Abdominal Exercises to train your core in order to handle to the handstand. In the last section I discussed an exercise that you probably don’t always attribute with the handstand, the Superman Plank. Today we are going to be going over the inverse of that. This exercise is a staple among gymnastic or athletic movement. Needless to say, the handstand is a definite inclusion into that category. Lets introduce the Hollow Body Hold. For the Hollow Body Hold, lie on your back and tighten your abdominals while driving your lower back to the floor. Extend your arms above your head while keeping your core engaged. Once you’ve held this position, extend your leg away from your body and lift them away from the floor. Make sure that you point your toes and squeeze your legs together. For an added touch of alignment, roll your shoulders off of the floor while keeping the body engaged. There you go guys if you have any questions, don’t be afraid to contact us and one final thing. Don’t forget to pick up The Ultimate Guide to Bodyweight Abs Exercises now! Previously I stated that you can’t become an excellent hand balancer without a strong core. The Superman Plank and the Hollow Body Hold. These two exercises get you to engage the core muscles in an extended fashion. One has more focus on the anterior side and the other on the posterior side. So you become sandwiched in a strong locked position. To get into a superman plank, start in a basic plank position with your hips tucked, your glutes engaged and your back straight. Be sure to start in the extended arm position. Walk your hands forward until they are at the farthest position above your head with out breaking form. Hold this from anywhere between 20 seconds to a minute. If you would like to test yourself, try for even longer! Give this drill a try and let us know how you do. In the next installment, I’ll be talking about the hollow body hold. P.S. To learn more awesome abdominal exercises, get The Ultimate Guide to Bodyweight Abs Exercises now! I’m going to start this off with a Powerful Statement. You will NEVER become an excellent hand balancer or acrobat without having incredibly strong abs. The Core is King; or Queen for that matter. The focus to achieve this on the core is not to get the holy grail six pack (although the side benefit is nice), but to train your body as one unit. Does this sound familiar? It should because that’s exactly what you need do pull off any hand balancing stunt. The abdominals help to lock you in and keep the hold or stabalized for transitionary movements like the Straddle Press! Over the next week, I’ll be going over ways to strengthen your core to achieve powerful acrobatic abdominals! P.S. If you can’t wait to build acrobatic adbominals, get The Ultimate Guide to Bodyweight Abs Exercises now!